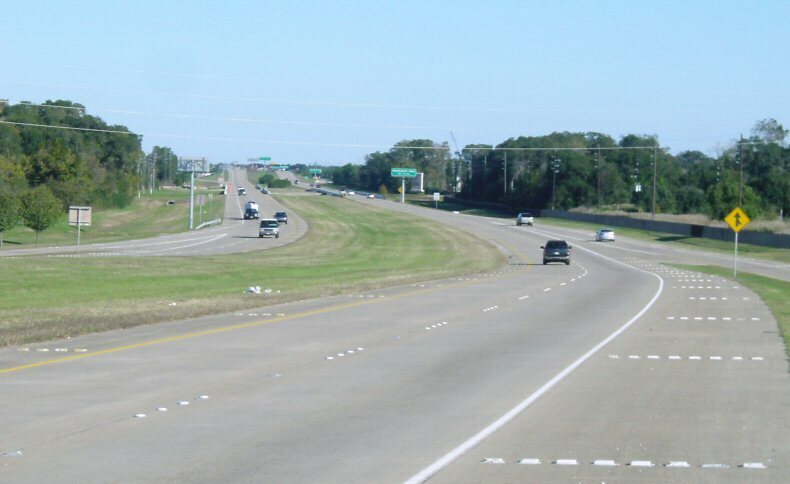 The west section of the Grand Parkway recently reached it's tenth birthway, as it was dedicated on August 31, 1994. 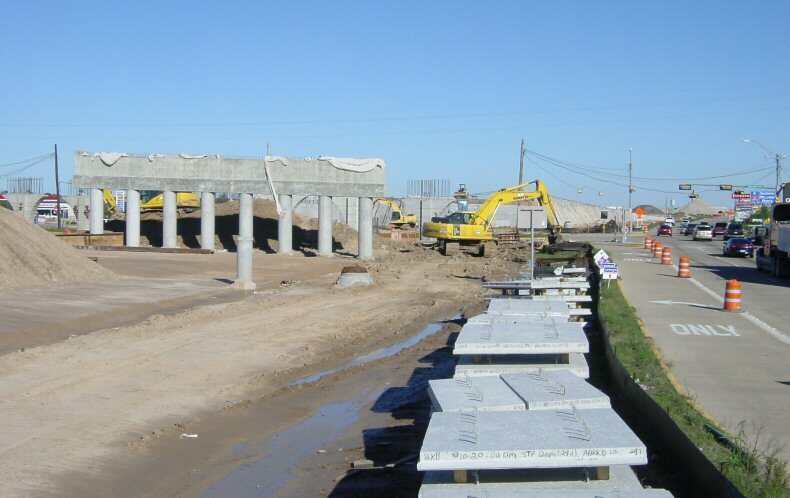 Construction now is underway on the missing section of main lanes between IH-10 and Cinco Ranch. Photos start at FM 1093 (Westpark Tollway) and proceed northward towards IH-10. 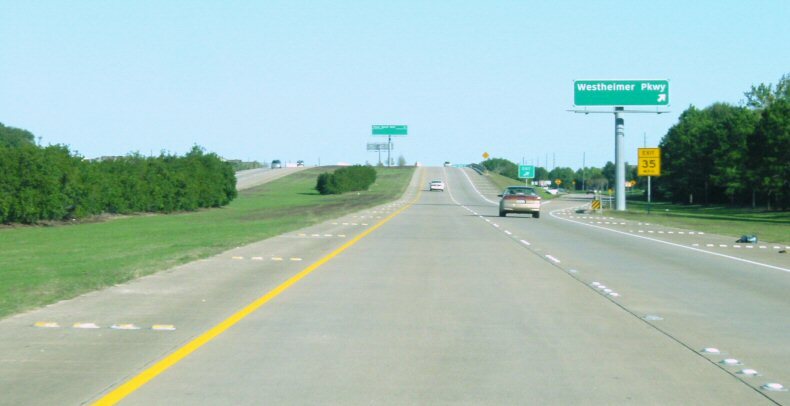 This is where the freeway section begins just north of FM 1093 (soon-to-be Westpark Tollway). South of Brays Bayou. 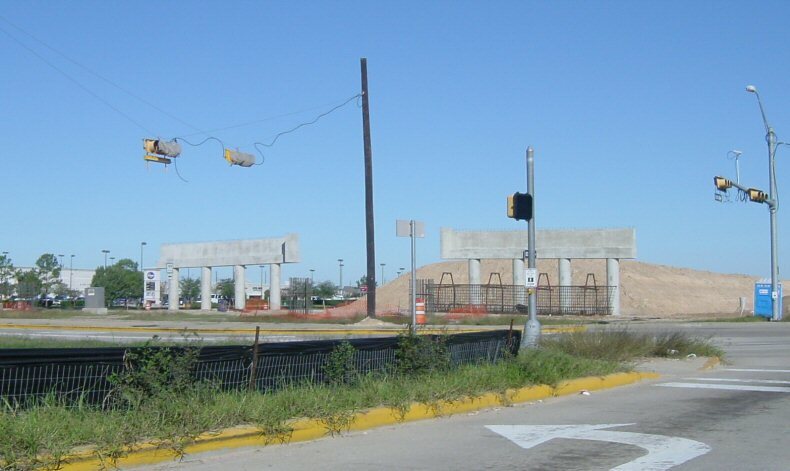 The large Cinco Ranch development is ahead. The next overpass moving northward is wider. 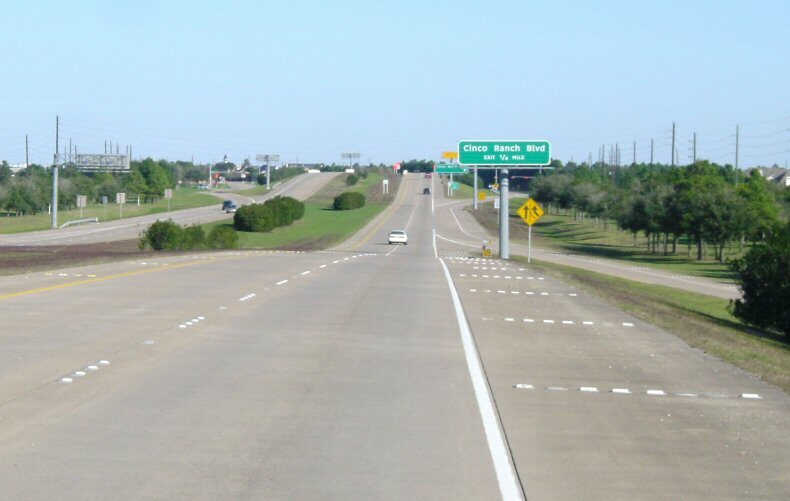 I assume this will accommodate exit lanes to the Katy Freeway (IH-10) just ahead.